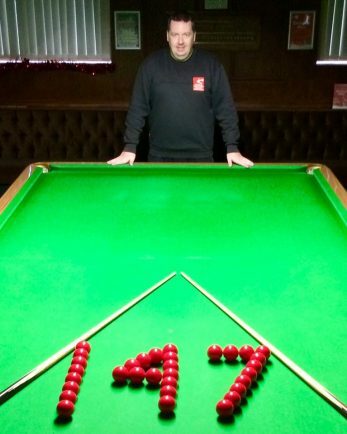 A PROFESSIONAL snooker coach from Bromsgrove achieved his life-long ambition of recording a 147 break. Kevin Ellis scored the maximum at Lickey End Social Club against Steve Tristram, the club’s manager. “When the final black went in I was like a kid in a sweet shop,” said Kevin.